Campaigners call for Efra inquiry after disappointment at Farming Minister George Eustice’s ’refusal’ to take the issue seriously. 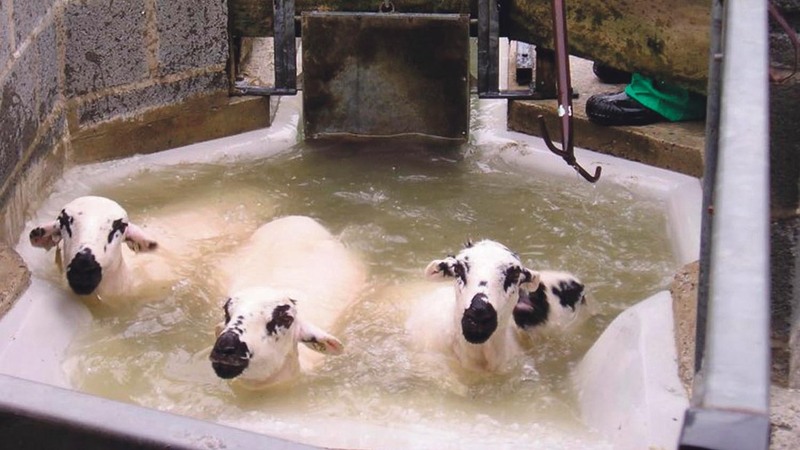 The Sheep Dip Sufferers Support Group has called for a better diagnosis of organophosphate (OP) poisoning after labelling it ’one of the biggest medical cover ups in history’. The group described the Government’s handling of the issue as ’shoddy’ and accused it of dismissing health and safety concerns. It has now called on the Environment, Food and Rural Affairs (Efra) committee to launch its own inquiry. Tom Rigby, group co-ordinator and Lancashire dairy farmer, said: “We are disappointed at Farming Minister George Eustice’s subsequent refusal to take the problem with the seriousness it deserves. “In any other department to dismiss concerns about health and safety by saying the issue had been looked at exhaustively and could find no evidence of long-term effect in those who had not been affected would not be considered an adequate response." Mr Rigby said there had been a ‘deliberate policy’ of not recognising the condition and a lot of people who were misdiagnosed could not get treatment. “The NHS cannot spend money on something that is not officially an issue,” he said. North Yorskhire farmer Paul Wright, 60, backed the plight after having battled with OP poisoning since he was in his early teens, suffering mental health problems and paralysis. “All the doctors can do is treat the symptoms because there is no such thing as OP poisoning," he said. He highlighted his anger with Mr Eustice for his continuous ‘stock answers’ which were not getting ‘any nearer’ to a recognition of the chemical. “It is the injustice of it, they are dealing with people’s lives," Mr Wright added. “In those days by law they told you which sheep dip to use – there was no arguing about it. A Government spokesman said: “The Government has always based its advice on the latest available scientific evidence which is why we committed £4m towards research in this area which was subsequently considered by the Committee on Toxicity as part of their systematic review into the impact of organophosphates on human health. “The review concluded low-level exposure does not cause long-term health effects in adults.